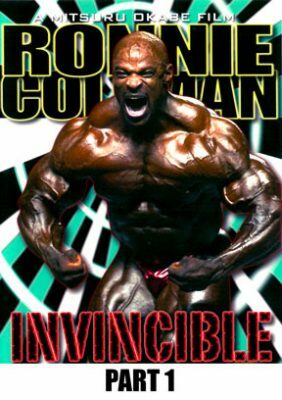 Ronnie Coleman’s prep for the 2007 Mr. Olympia – why he was truly ‘Invincible’. – Ronnie interview while driving. Speaks on how he got into bodybuilding and never wanted to be a bodybuilder in the first place. The DVD includes a final body check by Ronnie’s nutritionist Chad Nicholls on the day of the Olympia, September 28th, 2007 in his hotel room.